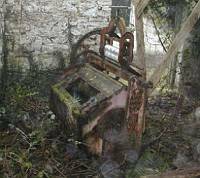 The restored washing machine is a 'Vowel model A' made during the last years of the nineteenth centaury and the early years of the twentieth centaury. 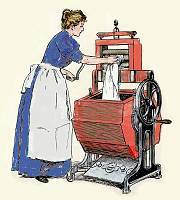 The Vowel Model 'A' was made by Thomas Bradford of London and Manchester, the largest manufacturer of washing machines in the 19th centaury. It was operated manually and typically used in institutions like workhouses and hospitals. It can be seen in the laundry in the workhouse. Guided tours are usually available on bank and public holidays and by arrangement.